CarGurus has 21,740 nationwide Suburban listings starting at $1,995. It arrived 80 years ago as the first SUV on the market, and if you think bigger is better, this has always been the ute for you. None of that changes now, as the 2014 Chevrolet Suburban is still a massive hauler of cargo, people and whatever you need to tow—up to 8,100 pounds, that is. The 2014 model represents the 11th generation for this version of the Suburban, and it will be the last, as GM will unveil a redesign in 2015. There are, however, some noteworthy changes for this brief model year. The Suburban will be offered only as a half-ton, which had been labeled as a 1500 to separate it from the shelved three-quarter-ton 2500. The Convenience Package has also been discontinued, but this is really addition by subtraction, because all those convenient features now come standard on all three trim levels (LS, LT, LTZ): rear-view camera, auto-dimming mirror with rear camera display, remote start, power-adjustable pedals and rear park assist. A 5.3-liter V8 engine mated to a 6-speed Hydra-Matic automatic transmission is the powertrain for all Suburban trims, although 4-wheel-drive (4WD) trims come with an aluminum engine block, as compared to the cast iron block found in rear-wheel-drive (RWD) trims. Both the RWD and 4WD versions get 15 mpg city/21 highway, numbers helped by Active Fuel Management technology, which deactivates 4 of the V8's cylinders under appropriate conditions. When full power is needed once again, the transition takes less than 20 milliseconds. The V8 can also run on E85 fuel and produces 320 horsepower and 335 lb-ft of torque. RWD Suburbans can tow up 8,100 pounds and have a maximum payload of 1,528 pounds, while 4WD versions can tow 8,000 pounds and have a maximum payload of 1,576 pounds. With its lengthy wheelbase (130 inches), fully boxed frame, coil-over-shock front suspension and multilink rear suspension, the Suburban offers a very smooth ride. A vehicle of this size won't be known for its handling, but the wide tracks in both the front (68.2 inches) and rear (67 inches) and the rack-and-pinion steering will give Suburban drivers confidence when navigating corners. And the LTZ trims come with the Autoride suspension system, which provides automatic damping control based on body and wheel motion sensors to further enhance the vehicle's handling. The Suburban's most memorable highlight is the sheer size of the interior—137.4 cubic feet behind the first row and 45.8 cubic feet behind the third row. All that room can be configured to seat 6 (bucket seats in all 3 rows) or 9 (3 rows of benches). The third row doesn't fold down, so if you want to fully utilize all that space, the bench has to be removed entirely, which can be a chore. The interior materials can also be viewed as a negative (too many hard surfaces make it feel outdated), but the instrument layout and interface are straightforward and easy to use. In addition to the old Convenience Package features that now come standard, the base LS trim also comes with Bluetooth connectivity, 6 months of OnStar Directions and Connections services, cruise control, dual-zone manual air conditioning, and a 6-speaker AM/FM/CD audio system with SiriusXM Satellite Radio and a USB port. The LT trim upgrades with leather upholstery, dual-zone automatic climate control and a 9-speaker Bose sound system. The LT is also eligible for a variety of packages: the Z71 Off Road (which includes gas-charged shocks, 18-inch aluminum wheels, all-terrain tires, automatic-locking differential, front recovery hooks, skid plate, chrome grille insert, body-color wheel flares and tubular chrome assist steps), as well as the Luxury Package and the Sun, Entertainment and Destinations Package. Stepping up to the LTZ trim adds auto-dimming heated mirrors with integrated turn signals, a power liftgate, heated and cooled front seats, heated and leather-wrapped steering wheel, heated second-row seats, Bose Centerpoint Surround Sound system, a navigation system with touchscreen control and a blind-zone alert safety system. All three of the Suburban's non-Fleet trim levels come with head curtain side airbags for all 3 rows, side-impact airbags for the front row, roof-mounted curtain airbags, electronic stability control, a tire pressure monitoring system and remote entry. 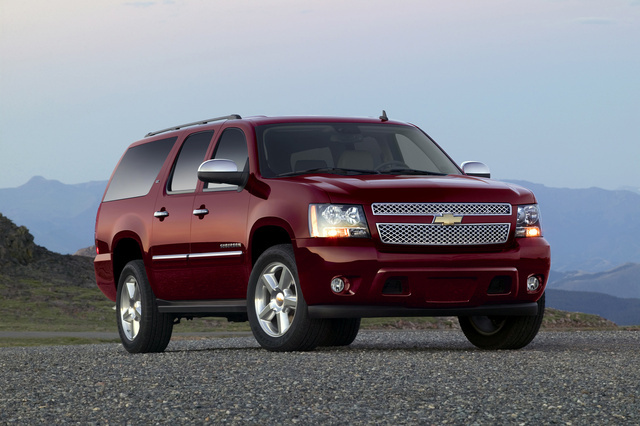 What's your take on the 2014 Chevrolet Suburban? 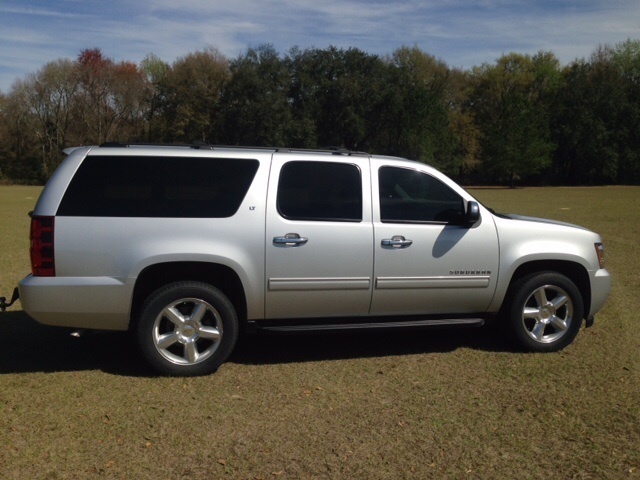 Have you driven a 2014 Chevrolet Suburban?